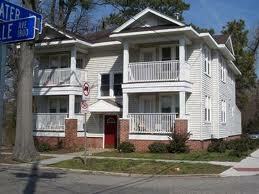 One method for making money in real estate is to purchase a multi-family building and rent it out accordingly. However, this is a little different than purchasing a single-family home, as you have more commercial responsibility. Usually, any building with more than four units is considered a commercial building and requires you to follow certain procedures with financing and documentation. Your credit score will be even more applicable in a purchase like this, so it’s important to have a high score. When you first talk to a loan specialist, they will look at your credit report and let you know if you qualify for a commercial building loan. The good news is that you can use the actual property itself as collateral for the loan. This gives you as the owner an incentive to make sure it’s maintained properly so it always maintains a high value. Normally, you’re allowed to finance up to 80% of the value of the property, so this will help figure out how much capital is required. Keep in mind that you don’t have to be purchasing this building directly from the bank. It’s possible to take this loan over as many times as necessary. That means you’re able to assume payments of a loan directly from the previous owner. It doesn’t reduce the credit requirements to be approved by the bank, but it does give you some more options in choosing a property you’d like to own. Once you have the multi-family building purchase completed, make sure you rent to reputable clients. Then, you will create a residual form of income for yourself and only be responsible for regular maintenance from that point on. By investing in real estate like this, you’ll reach your financial objectives much faster.